This quick and easy salad is ready in 20 minutes. Picnic-perfect, as there is no mayo to spoil. Recipe reprinted with permission from The Migraine Relief Plan: An 8-Week Transition to Better Eating, Fewer Headaches, and Optimal Health , © 2016 Stephanie Weaver. 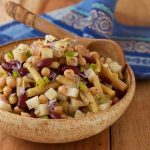 Published by Surrey Books, an imprint of Agate Publishing, Inc.
A twist on traditional three-bean salad, this adds a little potato to the mix with a light vinaigrette. Rinse the beans well and leave in the colander to drain while you make the rest of the dish. Dice the scrubbed potatoes finely. Rinse three times to remove the starch. Add filtered water just to cover and cook for 10 minutes until fork tender. I cook them in a microwave-safe dish, but you could boil them too. Drain immediately and rinse with cold water. Finely chop the green onion and add to a cup of cold water for a few minutes to remove the bite. Drain well. Add the apple cider or juice to a small saucepan set over medium heat. Bring to a boil, then reduce the heat to low and simmer for about 10 minutes, or until the liquid is reduced to 2 tablespoons. Remove from the heat and let cool. 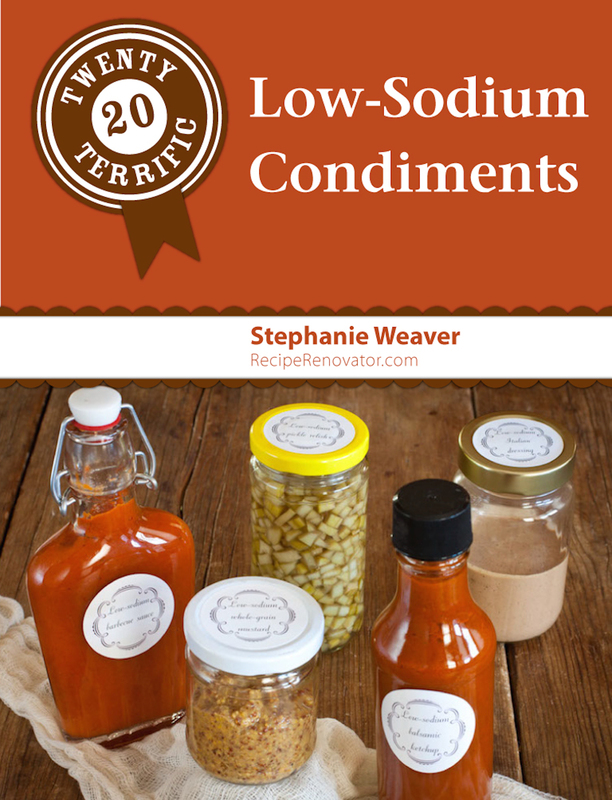 Put all the dressing ingredients in a jar, and shake well to emulsify. Toss all the ingredients together in a large bowl and pour over about half of the dressing. Toss well; the flavors will intensify as it marinates. Refrigerate up to 5 days. Use leftover dressing on salads. If you do not eat red potatoes, just skip them. If you are on a low-sodium diet I recommend cooking your own beans via the Beany Brothy Deliciousness Method, omitting the salt. 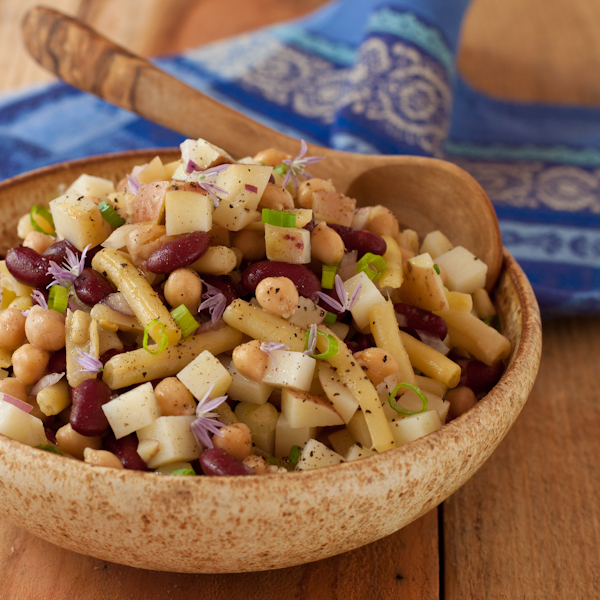 You can freeze beans in 2 C. servings, and thaw them as needed for recipes like this. You can use fresh green or wax beans as well. Just wash and trim them into bite-sized pieces, and boil or steam just until tender but not squeaky to the bite. Pour into cold water to stop them from overcooking. I see pasta in your picture but it is not in the recipe. I was thinking of adding a russet potato that I would nuke in my microwave for 3 1/2 min and rinse. but the pasta? There is no pasta in this recipe. I think you are mistaking the pale yellow wax beans for thin penne? You can absolutely add potato as the recipe calls for… I would suggest a red potato, as you don’t want a starchy potato to overcome the taste. Enjoy and thanks for reading!